Polyphenols are a diverse group of plant-chemicals found in fruits, vegetables, herbs, spices, cacao, tea, coffee and wine. I’m sure you will be familiar with the fact they are potent antioxidants, as they have been well-studied in this regard. Today however, let’s look at a fascinating new aspect to polyphenols. That is, their beneficial action on the gut. Recent literature has shown they have remarkable prebiotic-like effects, favourably impacting the gut microbiota, consequently improving our health and wellbeing. We can get all fancy and call this the phenolic-microbiota interaction. First of all, what are polyphenols? Polyphenols protect plants from UV radiation, free radical damage and attack by pathogens . They are micronutrients not essential to our diets but with significant health benefits. They have protective effects against cardiovascular disease, cancer and other inflammatory conditions. 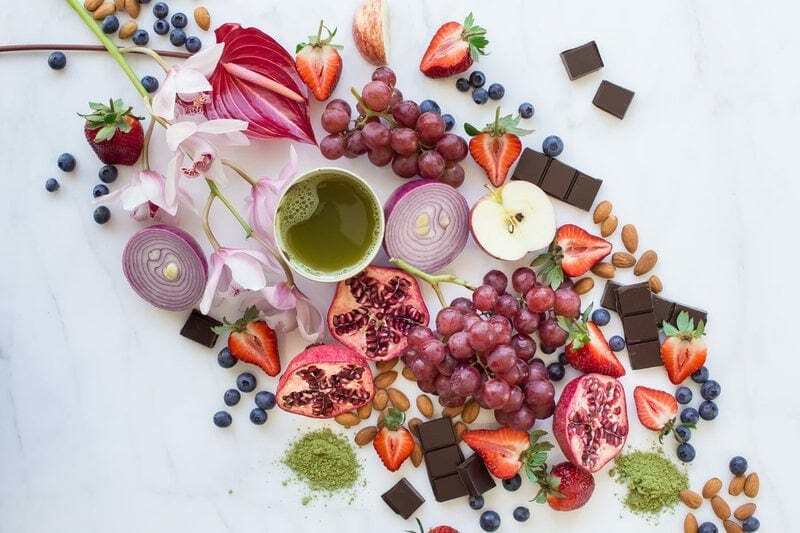 Their bioactivity is largely dependent on intestinal absorption, which for the most part is poor – it is estimated that only 5-10% of dietary polyphenols pass through the small bowel . Those with the best bioavailability include flavanones and isoflavones (more on these below), which encompass the citrus and soy families . Flavanols are the most widely found, rich sources being onions, garlic, curly kale, leeks, broccoli, blueberries and cacao. Green tea is perhaps the most famous in this group, containing compounds such as catechin, epicatechin, and epigallocatechin. They’re astringent, anticarcinogenic and potent antioxidants. Flavones are less common. They are found in red peppers, artichoke, celery, pomegranate and the Mediterranean herbs rosemary, parsley, thyme and oregano. These foods typically have anti-inflammatory, antibacterial and cancer protective effects, they are also effective at easing spasms. Flavanones are also called bioflavonoids, and include the citrus family. Tip: it is the white pith of the fruit that is most concentrated with these compounds – and they help promote the absorption of vitamin C.
Proanthocyanidins are also known as condensed tannins. Cranberries are a rich source. Anthocyanidins include many of the blue-purple fruits and vegetables – blackberries, blackcurrants, blueberries, cherries, cacao, cranberries, elderberries, grapes, pomegranate, purple corn, red cabbage, red onions and wine. Isoflavones are found in red clover, chickpeas, flaxseeds and soy beans. This group act as phytoestrogens (plant estrogens) and play in role in prevention of osteoporosis. They also have antifungal and insecticide properties. The non-flavanoids include phenolic acids (found in grapes, wine, strawberries, raspberries, pomegranate and walnuts), stilbenes (in blueberries, cranberries, mulberries, grapes, peanuts) and hydrolysed tannins (such as raspberry leaf, pomegranate, strawberry leaf). 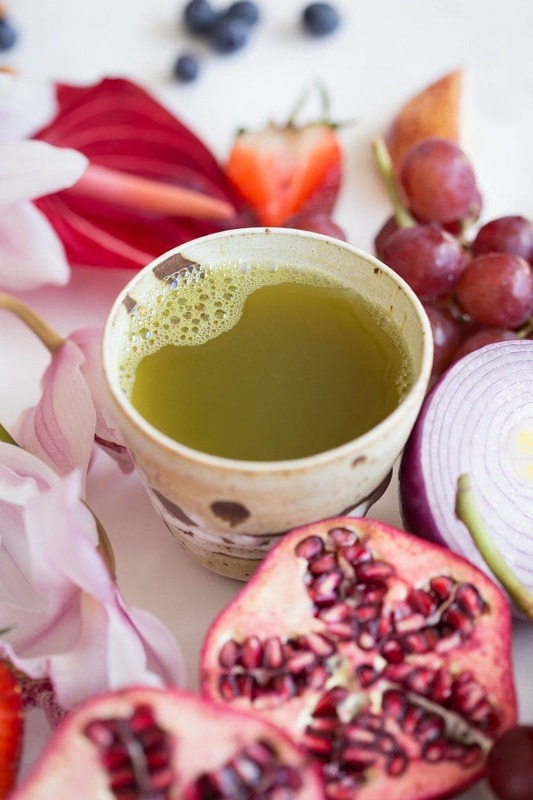 Of all of the above, diverse food sources of polyphenols, there are a few that have been studied for their potential benefits to digestive health. 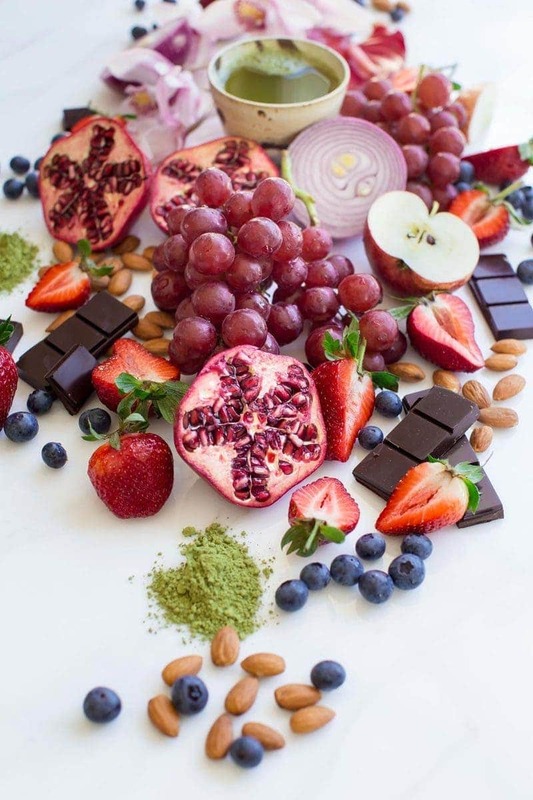 These include cacao, green tea, pomegranate, almonds, artichoke, blueberries, strawberries, apples, onions and red wine. Recent studies suggest that it isn’t the dietary polyphenols themselves that are influencing gut health, but rather, the metabolites produced by their breakdown into smaller parts (phenolic acids and short-chain fatty acids) by bacterial residents of the intestinal tract. This causes a favourable change in the composition of the microflora – the trillions of microorganisms inhabiting the intestinal tract, promoting the growth and diversity of beneficial bacteria (much like a prebiotic) whilst exerting selective antimicrobial effects against pathogenic bacteria [2, 5]. Red wine polyphenols have been shown to display a selective modulation of gut bacteria, promoting growth of beneficial bacteria whilst supressing pathogenic bacteria such as clostridium  – not that this is a license to go crazy on the wine! The ability of polyphenols to exert prebiotic-like and antimicrobial effects, suggests they could potentially be helpful in counteracting gut dysbiosis – a condition which simply means there is a microbial imbalance in the small or large bowel. Dysbiosis can greatly affect a person’s susceptibility to disease, and is associated with IBS, inflammatory bowel disease, metabolic disorders, obesity and type 2 diabetes . Dysbiosis is something I see quite often in clinical practice, and can be induced by antibiotic use, certain medications, stress (both physical and psychological), reduced gut motility and poor diet. 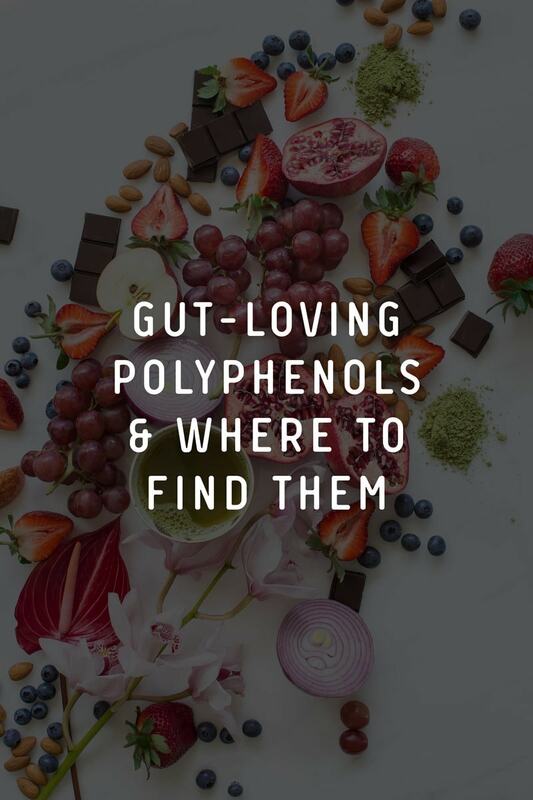 Polyphenol rich foods are an incredibly beneficial part of a healthy diet, and do appear to act directly on the gut by favourably altering the composition of the microflora. 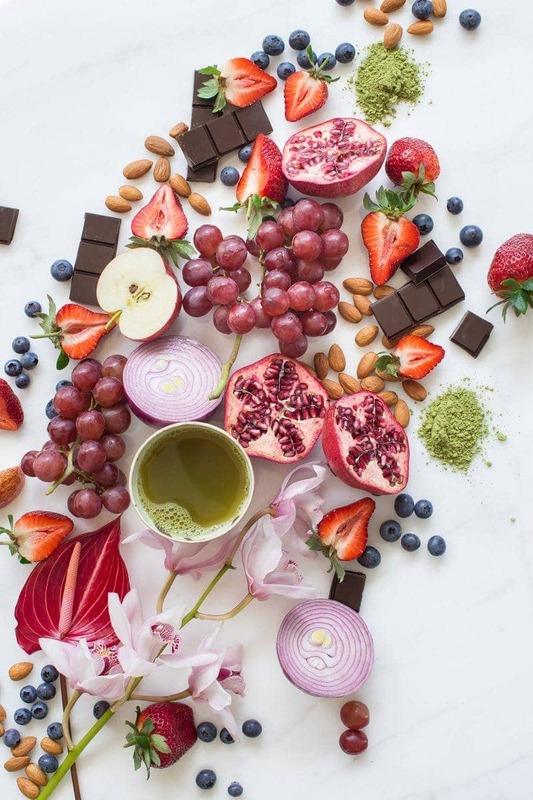 My favourite ways to include them: fresh berries with porridge for breakfast, a matcha latte with a square of dark chocolate for afternoon tea, a mixture of rainbow-coloured vegetables with dinner and a glass of Dad’s homemade, organic red wine on a Sunday night! 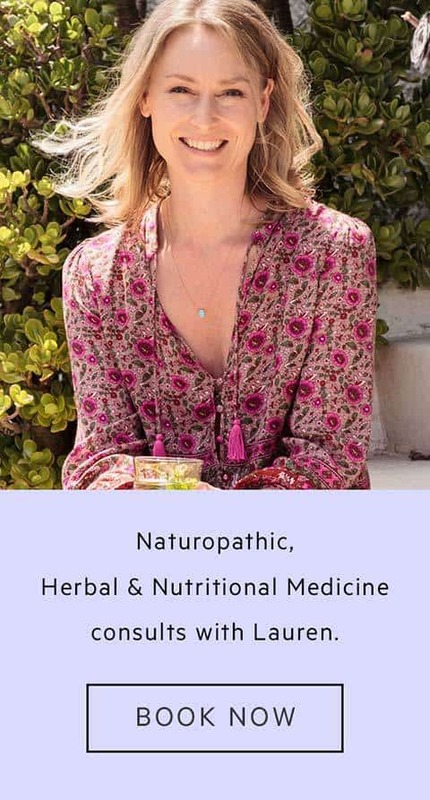 Gut health is a particular area of interest to me professionally as a Naturopath, Medical Herbalist and Holistic Nutritionist. If you have a digestive imbalance and would like to address the root cause, come and see me in clinic. Please visit my practitioner website laurenglucina.com for more, or make a booking via the consultations page here. facebook and instagram for more. Manach, C., Scalbert, A., Morand, C., Rémésy, C., & Jiménez, L. (2004). 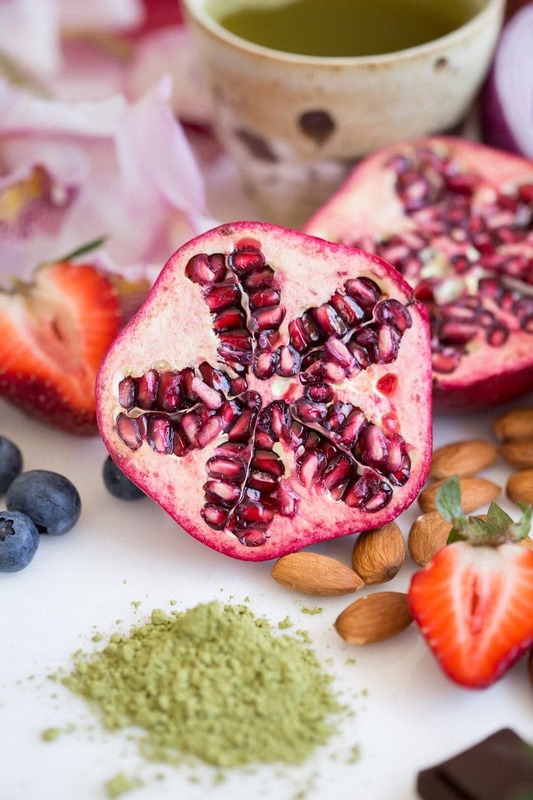 Polyphenols: Food sources and bioavailability. The American Journal of Clinical Nutrition, 79(5), 727-747. Cardona, F., Andrés-Lacueva, C., Tulipani, S., Tinahones, F.J.,& Queipo-Ortuno, M.I. (2013). Benefits of polyphenols on gut microbiota and implications in human health. Journal of Nutritional Chemistry, 24, 1415-1422. Osiecki, H. (2010). The nutrient bible (9th ed). QLD, Australia: Bio Concepts Publishing. Etxeberria, U., Fernandez-Quintela, A., Milagro, F.I., Aguirre, L., Martinez, J.A., & Portillo, M.P. (2012). Impact of polyphenols and polyphenol-rich dietary sources on gut microbiota composition. Journal of Agricultural and Food Chemistry, 61(40), 9517-9533. TZOUNIS, X., RODRIGEUZ-MATEOS, A., VULEVIC, J., GIBSON, G.R., KWIK-URIBE, C., & SPENCER, J.P. (2011). 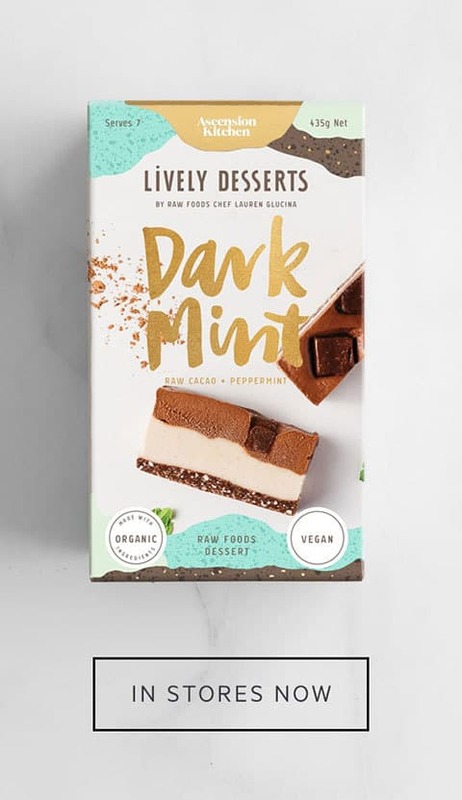 PREBIOTIC EVALUATION OF COCOA-DERIVED FLAVANOLS IN HEALTHY HUMANS BY USING A RANDOMIZED, CONTROLLED, DOUBLE-BLIND, CROSSOVER INTERVENTION STUDY.American Journal of Clinical Nutrition, 93(1), 62-72. Evensen, N.A., & Braun, P.C. (2009). The effects of tea polyphenols on Candida albicans: Inhibition of biofilm formation and proteasome inactivation. Canadian Journal of Microbiology, 55(9), 1033-9. Pai, V., Chanu, T.R., Chakraborty, R., Raju, B., Lobo, R., & Ballal, M. (2011). Evaluation of the antimicrobial activity of Punica granatum peel against the enteric pathogens: An in vitro Asian Journal of Plant Science and Research 1(2), 57-62. Bialonskai, D., Kasimsetty, S.G., Schrader, K.K., & Ferreira, D. (2009). The effect of pomegranate (Punica granatum ) byproducts and ellagitannins on the growth of human gut bacteria. Journal of Agricultural and Food Chemistry, 57(18), 8344-8349. Vendram, S., Guglielmetti, S., Riso, P., Arioli, S., Klimis-Zacas, D., & Porrini, M. (2011). Six-week consumption of a wild blueberry powder drink increases bifidobacteria in the human gut. Journal of Agricultural and Food Chemistry, 59(24), 12815-20. Carding, S., Verbeke, K., Vipond, D.T., Corfe, B.M., & Owen, L.J. (2015). Dysbiosis of the gut microbiota in disease. Microbial Ecology in Health and Disease, 26.